Previously, I wrote of Christian Audigier’s collaboration with Michael Jackson for the release of his clothing line prior to the pop stars death. Audigier is pressing forward for the eventual launch of the clothing label. 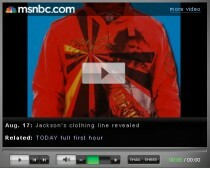 The Ed Hardy designer recently appeared on the Today show giving a sneak peak at items from the fashion collection. The clothing and accesssories in the line include rhinestone socks, a rhinestone glove, belts, T-shirts, jackets, gloves, and umbrellas. Audigier related that: “[Michael] said ‘I want to do a line, and I want to have you working on the merchandising.’ “He was very excited.” “What he wanted from me was the T-shirts and the hoodies and the caps.” He also stated that Michael Jackson was very much involved in the design of the fashion line. Audigier is now working with Jackson’s estate to complete the project. Click below for the video and more info after the jump….. 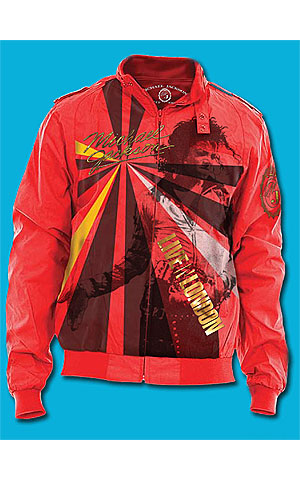 Meanwhile, concert promoter AEG Live and merchandiser Bravado, (a seperate project from Audigier’s Michael Jackson collaboration), have gotten approval to market MJ memorobilia, which includes clothing items. 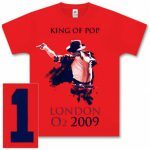 A judge has approved a deal that will bring Michael Jackson merchandise to store shelves. Los Angeles Superior Court Judge Mitchell Beckloff approved the deal during a court hearing Monday. The merchandise agreement allows for items such as trading cards, clothing and digital goodies to be sold. The judge had delayed approval of the agreements after Katherine Jackson had raised objections to the contracts with concert promoter AEG Live and merchandiser Bravado.